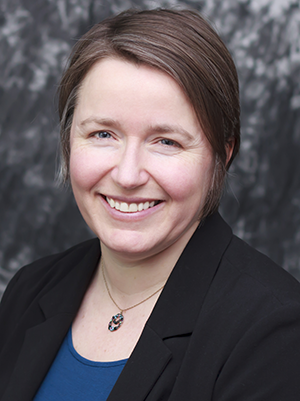 Rebekah Pratt, PhD, is research faculty in the U of M Department of Family Medicine and Community Health. 2014-19, NIH, co-investigator, "Enhancing Smoking Cessation in Homeless Populations"
Allen ML, Rosas-Lee M, Ortega L, Hang M, Pergament S, Pratt R. They just respect you for who you are: contributors to educator positive youth development promotion for Somali, Latino, and Hmong students. J Prim Prev. 2016;37(1):71-86. Pratt R, Ahmed N, Noor S, Sharif H, Raymond N, Williams C. Addressing behavioral health disparities for Somali immigrants through group cognitive behavioral therapy led by community health workers [published online ahead of print Dec 31, 2015]. J Immigr Minor Health. doi: 10.1007/s10903-015-0338-2. Pratt R, Hibberd C, Cameron IM, Maxwell M. The Patient Centered Assessment Method (PCAM): integrating the social dimensions of health into primary care. Journal of Comorbidity. 2015;5:110-9. Onigbogi OO, Karatu D, Sanusi S, Pratt R, Okuyemi K. Exploring cigarette use among male migrant workers in Nigeria. Int J Health Policy Manag. 2015;4(4):221-7. Raymond NC, Osman W, O’Brien JM...Pratt R, Okuyemi K. Culturally informed views on cancer screening: a qualitative study of the differences between older and young Somali immigrant women. BMC Public Health. 2014;14:1188.